The roman numerals on her shoulder. 18. The roman numerals on her shoulder. 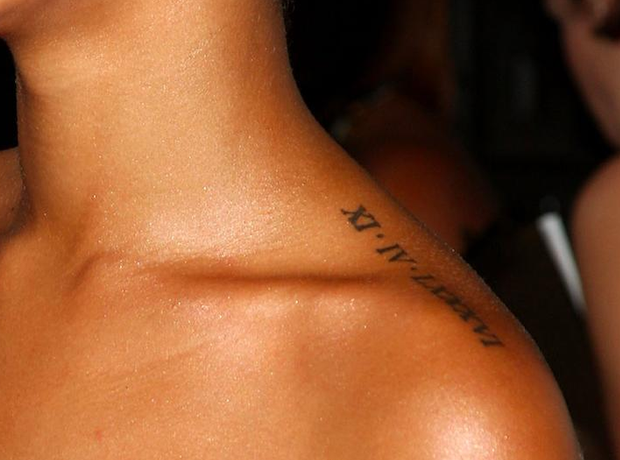 In June 2008, Rihanna got the birthday of her best friend and manager, Melissa Forde, inked on her shoulder in Roman numerals. Forde got the same tattoo with Rihanna's birthday tattoed on her as well.